Find a Trusted and Licensed Local Locksmith by Reviewing Their Google+, Yelp, and Other Citation Profiles! 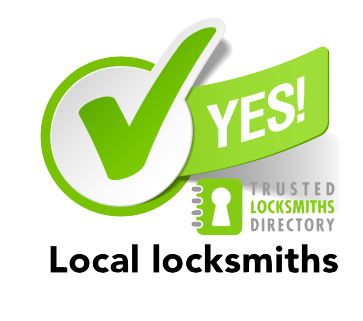 Finding a trusted local locksmith company is definitely not easy. However, the internet has undoubtedly made our lives easier. You can find answers and search for reliable sources in a split second by using the internet. Also, considering the widespread use of the internet and the increasing number of internet users looking for information, most businesses have established their presence online. After all, it is the age of digital technology, where most businesses have quit traditional methods of marketing and promoting their services. Digital platforms and social media channels truly stand out when it comes to providing genuine information and reviews to customers on any business. Be it Google, Yelp, BBB, etc., any business trying to spread its influence through other citation profiles are considered reliable, professional and trustworthy, to say the least. On this blog, we will discuss the type of review filters that citation websites like Google+, Yelp, and Better Business Bureau use to depict the relevancy and reliability of businesses, either locally or globally. Such filtration procedures for online businesses allow customers to trust a business without a second thought in their mind. While such citation profiles are reliable sources to understand and determine the credibility of a certain business, such profiles have been greatly helpful in helping customers even filter locksmiths and locksmith companies with integrated and genuine online listings. When it comes to lockout services, it is not easy to trust just anyone, especially when it comes to safety and quality of services. For immediate locking and keying solutions, there are innumerable locksmiths available 24/7 to help you anytime and anywhere during your emergency crisis. However, not all of them are known for their high standards and expertise in the field. To make the most of the locksmith services, it is necessary that you find a right and professional locksmith in Fort Lauderdale who can help you with an extensive range of services and solutions.